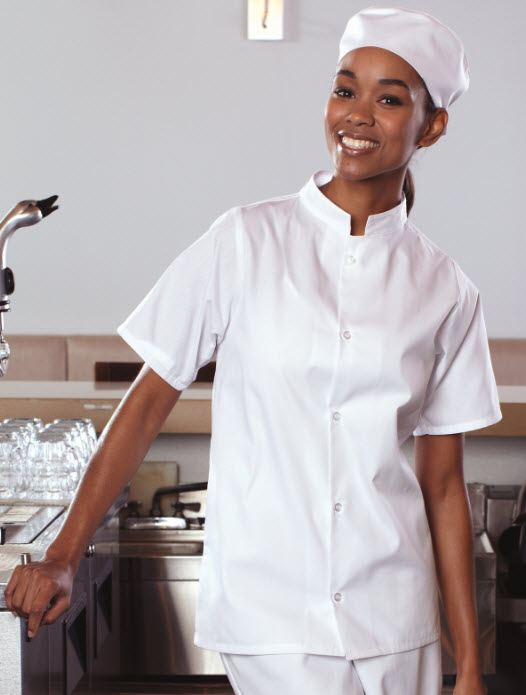 Utilitarian and functional, this kitchen uniform shirt sports a mandarin collar and a clean button front. 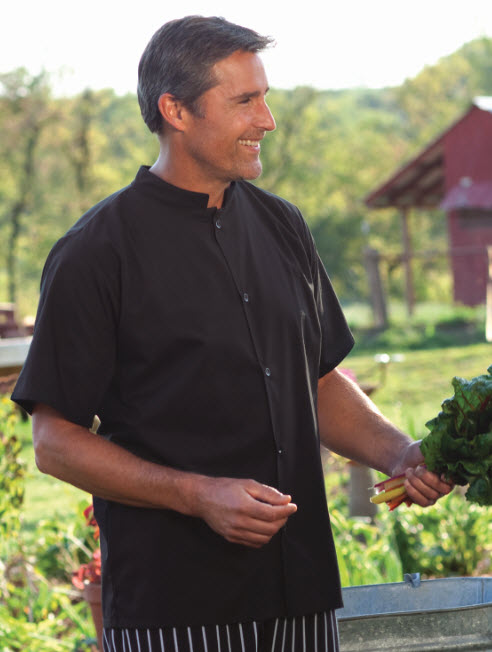 A wonderful addition to your wardrobe of restaurant cook uniforms, this shirt is crisp enough to be worn in or out of the kitchen. Your kitchen uniforms will have a sharp new look with this classic shirt. Available in a huge range of sizes, it will be a favorite of any chef.